If you have no time to take care of your windows or you find this task pretty overwhelming, we suggest you entrust it to our specialists who deal with window cleaning in Wandsworth SW18. Our company has been well known around London for the past decade. We have a great reputation for making windows bright and streak-free. We operate from Monday to Sunday. Booking is made via our contact centre. Either call us or send us a message. We’ll respond quickly. You can schedule whenever you wish. All you have to do is let our technicians know what you need. When we discuss your preferences, we’ll create a plan and let you know the price. You will be astonished by our offer. Contact us today. We make sure customers get the most of our cleaning program. We offer extended working hours and fair prices; we have specialised cleaning equipment. What’s more, our technicians are trained on safe cleaning methods. We are professional to the core. We offer the convenience of working during weekends. This means that you can have your windows cleaned at a time you like the most. No more worries. We will stop by and get the job done in the most professional manner, ensuring outstanding results. Your windows will sparkle once we are done. Our cleaning supplies and solutions are so good that they don’t leave streaks behind. We use the best techniques to get rid of mud, grime, cobwebs, stains, dust particles and fingerprints. 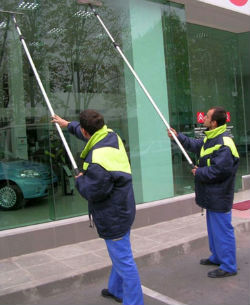 Our window cleaning program in Wandsworth SW18 is 100% effective. When you call our office, one of our operators will explain our billing and cleaning program to you. Our prices vary, that’s why if you want to know more about that, make sure to get a price quote. Our phone lines are open round the clock, so don’t hesitate to contact us whenever you wish. We will be waiting for you.